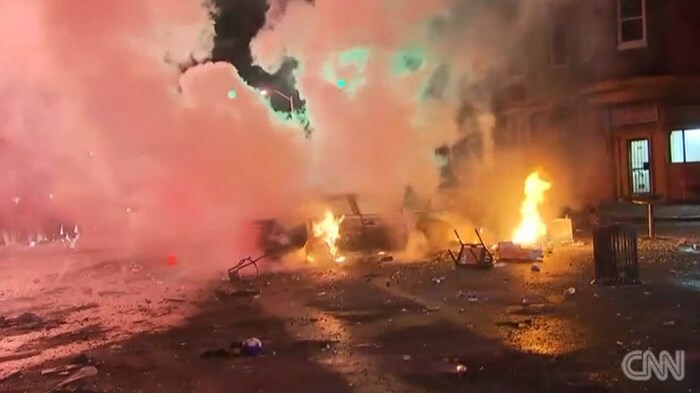 BALTIMORE (BP, TAB) — As Baltimore experiences the first calm after the April 25 funeral of an unarmed black man who died of injuries sustained when police arrested him, local black Southern Baptist pastor Ryan Palmer recalls when the riots were just protests, the primarily white crowd at the Orioles game just hours after the funeral began chanting “[four-letter expletive] Freddie Gray,” angry because they weren’t allowed to leave the stadium for safety reasons. The only solution is Jesus Christ, Gaines said. To read the full story, go to www.thealabmabaptist.org. This entry was posted in Home and tagged Baltimore, discrimination, protests, racism, riots. Bookmark the permalink.